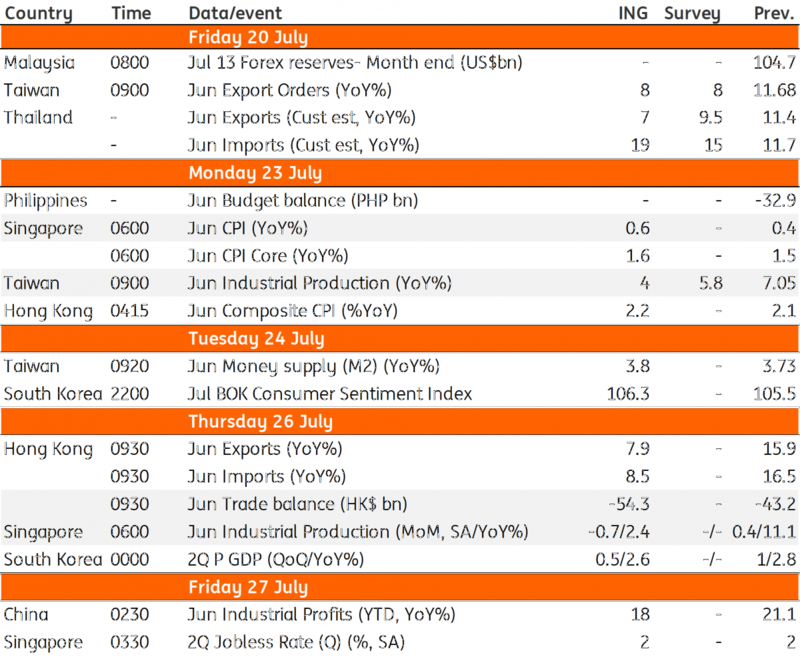 The key Asian economic releases next week are Korea’s GDP for the second quarter and June manufacturing data from Singapore and Taiwan, all informing about Asia’s growth outlook in the tariff era. 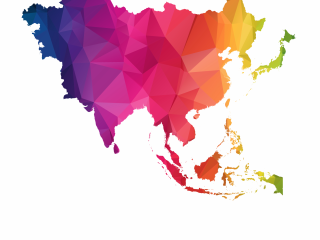 Weak exports, weak manufacturing, and therefore slow GDP growth was the economic story across Asia in the last quarter. And it's likely to remain the theme for the rest of the year. In its quarterly Economic Outlook report released earlier this month, the Korean central bank (Bank of Korea) cut its GDP outlook for 2018 to 2.9% growth from 3.0% previously. This is the result of the slowdown already underway in the country’s exports and manufacturing. Export growth of 3.4% year-on-year in 2Q slowed from 9.9% in 1Q. And industrial production growth has been flat in recent months. We expect 2Q GDP growth of 2.6%, down from 2.8% in the previous quarter. With the trade war risk intensifying, GDP growth is poised to slow for the rest of the year. We are reviewing our full-year 2018 growth forecast of 2.8% for a downgrade. While this could make a case for Bank of Korea (BoK) policy easing, there is little policy space for such a move, which is also unlikely as higher tariffs and a weak Korean currency exert upward inflationary pressure. We expect the next move in the BoK policy rate to be higher, not this year though. In Singapore, the advance estimate of GDP in 2Q revealed a slowdown in growth to 3.8% from 4.3% in the previous quarter. This estimate is typically based on data for the first two months in the quarter. Manufacturing drives GDP growth and the June data next week (26 July) is a good guide for revisions to the advance estimate. Unexpectedly weak non-oil domestic export growth in June (1.1% YoY, down from 15.5% in May) signals weak manufacturing. If realized, our forecast of 2.4% manufacturing growth in June, down from 11% in May, will mean a downgrade of 2Q GDP growth to 3.6%. The heavy dependence on exports makes Singapore's economy more vulnerable to the global trade war. While we are looking to downgrade our growth forecast for this year from 3.2%, it will take a big slump in the economy for the central bank (MAS) to reverse the April policy tightening. And that’s not what we are anticipating at the moment. For Taiwan, it's the same economic story as in Korea or Singapore -- weak exports, weak manufacturing, and therefore weak GDP growth.